Sony Pictures offered up a first look at Ang Lee‘s eagerly anticipated drama “Billy Lynn’s Long Halftime Walk” on Tuesday night at CinemaCon 2016. The annual gathering of movie exhibitors was treated to an incomplete teaser trailer that tells the emotional story of Iraq war hero Billy Lynn — a young veteran who becomes a prime public relations coop for the military even as he continues to grapple with the horrors of war. 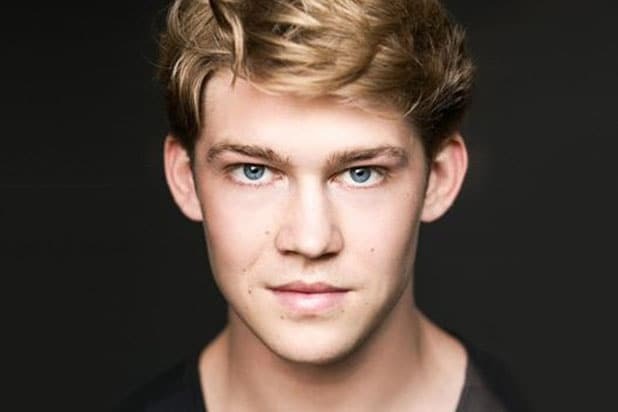 “It’s weird being honored for the worst day of your life,” says newcomer Joe Alwyn in the title role. His character is selected to make a nerve-wracking appearance at the halftime show at the annual Super Bowl — and the style and surreal excitement of the holy American event is juxtaposed with his horrific, blood-spattered days in the Middle East. The teaser is set to a chill-inducing choral version of David Bowie‘s “Heroes (We Could Be).” As Rothman noted, Lee is experimenting with the use of different frame speeds — and the effect contributes to how the footage strikes a deep emotional chord, as sparks of fireworks over a sports arena melt into the dust clouds of IEDs in Baghdad. Vin Diesel and Garrett Hedlund also show up, but the sum of the teaser makes it clear who the show belongs to — director Lee. “Billy Lynn’s Long Halftime Walk” opens November 11.